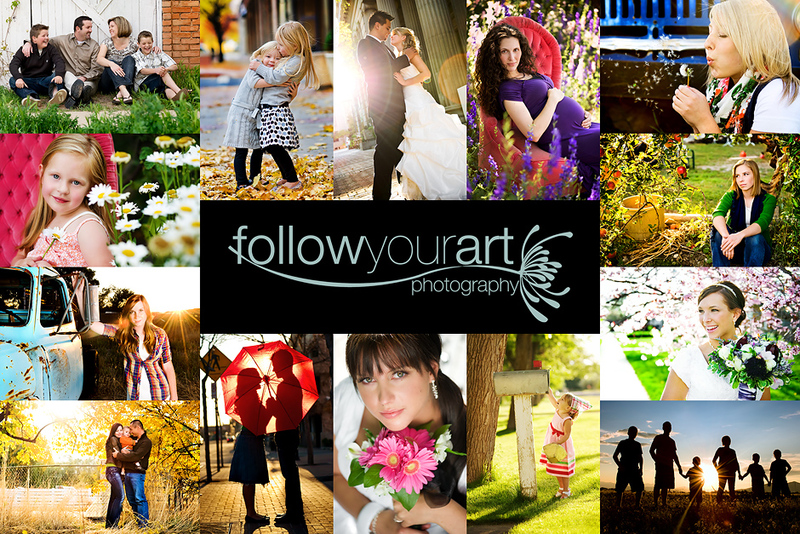 Follow Your Art Photography, Utah Baby, Child, Senior, Family Photography, photographer: My new logo! I am so excited about my new logo. I just got it last night and I think it truly represents my style. Clean, classic and fun! I'm not sure if I'll stick with these colors but it's a start. I LOVE it! Did you design it yourself? I didn't I had it designed for me. You can email me for info. it looks great! i think i would like it in just about any color scheme. does it work for you for a watermark? Yes it does! Thank you so much!!! I love it Jessica! its looks great! Ive have been waiting for mine or ever and Its still not done so I guess I will have to go live with out it ....hopefully it will be done next week. I dig the colors and your new header by the way.